Conjugating verbs can be one of the most difficult topics to learn. 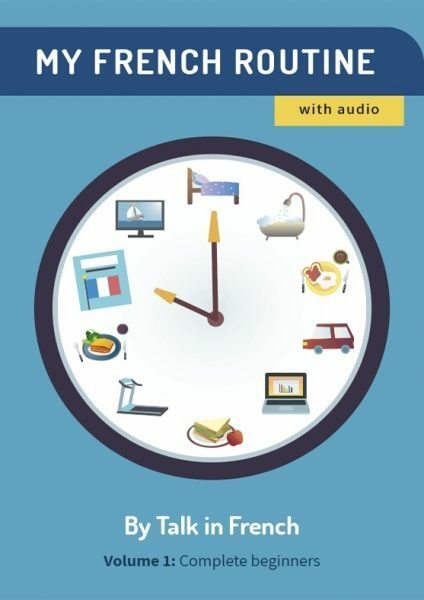 But before you start to shudder or crawl under your bed in fear of what’s going to happen next, let me assure you that this topic is written as simply as possible for the convenience of newbie French learners. 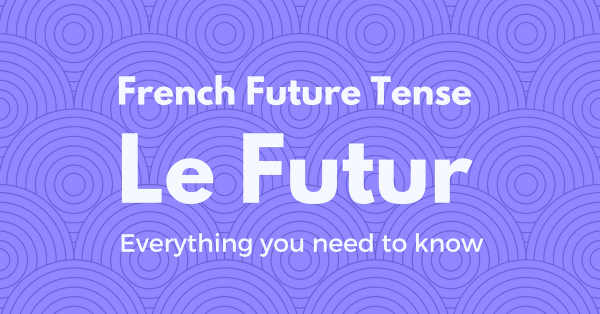 Besides, French future tense is not too complicated to learn. Good news, no? Since we’ll be talking about the Future tense, let us first define what it is. The future tense is a verb tense that we use to talk about something that will happen in the future, or something that will be true. The future tense in English can be identified with the word ‘will’ or ‘shall’ that comes before the verb. It can also appear with its shortened form ‘ll. Examples: What will you do? What shall we do? I’ll think of something. In addition, English also has progressive forms of the future tense (future progressive tense) which is used to indicate something that will be happening in the future. It is formed by using ‘will’ or ‘shall’ together with ‘be’ and the present participle of the verb. What will you be doing then? I’ll be running at the park. He will be asking her out on a date. The word ‘going to’ followed by a verb is used to say something that will happen in the near future. I am going to eat a sandwich. French future tenses do not use an equivalent of the English word ‘will’ or ‘shall’ to indicate a future event. Instead, the ending of the verb is changed to make it into a one-word form of the future tense. Just like in English, the present tense can also be used to tell something that hasn’t happened yet. French also uses an equivalent of the English ‘going to’ to talk about something that will happen in the near future. For this, the verb aller (which means ‘to go’) followed by a verb is used. In formal language such as in journalism or in narration of factual events, the future tense is often used. It can also be used in making polite requests. Most verbs in the future tense consist of this format: the infinitive (or the regular form of the verb) + an ending similar to that of the present tense of avoir (have) – -ai,-as,-a,-ons,-ez,-ont. It is formed with a “future stem” which is basically similar to the infinitive, combined with an ending that is dependent on the subject. Quick tip: je is shortened to j’ when preceding a word that begins with a vowel, h, or the French word y. The simplest of the verbs, all you have to do is use the infinitive form and add the correct ending. Examples are such as the ones used above for donner and finir. The consonants ‘l’ and ‘t’ in those verbs which end in -eler and -eter get doubled. For example: appeler becomes appeller, while jeter becomes jetter. The pronunciation of the first letter e also changes from ‘uhr’ to ‘eh’. Exceptions are the words geler (to freeze), peler (to peel) and acheter (to buy). For verbs that end in -yer, the y often becomes i when used in the future tense. For example: nettoyer (to clean) becomes nettoier. For these kinds of verbs, the formula is simple: remove the last letter e, and add the appropriate ending. An example is the word attendre used in the examples on the table above. Just like always, there are sets of words which simply refuse to follow the rules. These irregular verbs are, of course, also present in the French future tense. There are around more than twenty verbs with irregular future stems. But don’t worry because no matter how irregular these verbs are, they still make use of the same endings. In informal speech and simple statements, the present tense can be used to talk about a future event. For regular verbs ending in -er, -ir and, -re, the future stem is the same as the infinitive but the last -e in -re endings are removed. The future tense endings are -ai, -as, -a, ons, ez, -ont and it is dependent on the subject. Feel free to come back to this page as often as you like in order to familiarize yourself with the rules. For other lessons on learning French, you can also check out the other articles in this website.